Does this mean the 911 will finally go mid-engine? Porsche recently showed off a 911 race car which had something extremely shocking, a mid-engine layout. Nevertheless, Porsche claims that the next generation 911 will keep its rear-engine layout. 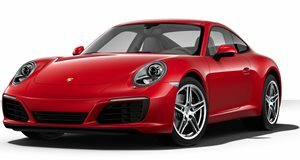 Now, a new report from Motoring claims that the 2019 992-gen Porsche 911 will share major components with the next generation Audi R8. Porsche has been a part of the Volkswagen Group for a while, but it has managed to keeps its cars pretty clear of the VW parts bin. But could this part sharing with Audi finally end this streak? Audi and Porsche have been moving closer to each other, but both will retain their own brand identities. Both brands are working on EVs, but they should be two very different cars. The 911 and R8 should be no different. The two cars will reportedly share a front-end architecture, including the steering system. However, the R8 will still have its engine in front of the rear axle while the 911 will remain rear-engined. Porsche says that the engineering should not be too difficult because the 911 already shares its front end layout with the 718. 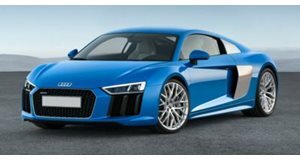 Sharing components with the Audi R8 should help lower costs in development as well as manufacturing. The 911 and R8 could also end up sharing engines and transmissions from Porsche to further save on costs. We don't know where this leaves the Lamborghini Huracan, which is also based on the R8's platform. Lamborghini is working on a new compact sports car, so perhaps the company will ditch the R8 platform entirely. We hope that Porsche and Audi keep what makes the 911 and R8 different, without ruining either car.